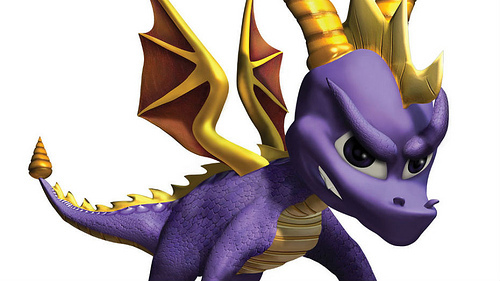 Rumour has it that a certain purple dragon will be coming to PlayStation 4 this year. 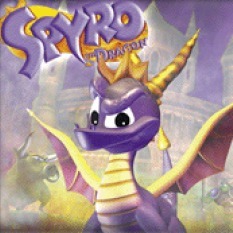 The dragon in question is of course Insomniac’s Spyro, who made his debut on PlayStation in 1998. If these speculations are true, Sony sure knows how to pick a good Valentine’s Day present. A Kotaku report claims Spyro the Dragon will be following in the footseteps of Crash Bandicoot N.Sane and release as a trilogy during Q3 2018. Apparently, “multiple sources familiar with the project” have confirmed as such. The trilogy includes Spyro the Dragon, Spyro 2: Ripto’s Rage! and Spyro: Year of the Dragon. Please excuse me while I shed a tear of happiness. It is presumably being developed by Vicarious Visions, the same team resonsible for the Crash Bandicoot remaster, and will be glammed up with new lighting, animations, assets and cinematics, and enhance the soundtrack so it’s up to scratch with current audio standards. The plan to release the Spyro trilogy this year may have something to do with 2018 marking its 20th anniversary. Another source said Activision (who will step in as publisher) is looking at a September release schedule. The Spyro trilogy is initially launching on PlayStation 4, but may be a timed exclusive before it cracks other platforms in 2019, the report says. Is this whole nostalgimania thing a good idea, though? Of course it is. The N.Sane trilogy went ballistic on Metacritic and topped the sales charts multiple times, so bringing back Spyro in sparkling remastered glory is a no brainer. There’s always the risk an older game won’t age well, but so far, the retro revival wave is bringing out hit after hit.